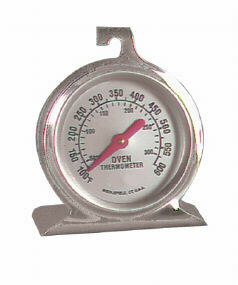 Taylor kitchen thermometers lend themselves to almost any kitchen need. Maintaining the proper temperature is important for recipes, candies and jelly's to turn out right. Keep your family safe and prevent food spoilage and food poisoning with a refrigerator or freezer thermometer. Our selection includes freezer thermometers, refrigerator thermometers, roast thermometers, candy thermometers, jelly thermometers, oven and range thermometers. Taylor kitchen thermometers are made for long lasting use.